Oriental rugs from every region of the world display an enduring beauty and spirit in every facet of their design and threadwork. Yet, over the years these threads can receive a great deal of wear as a result of being displayed in high traffic areas of homes and businesses, or through improper storage. Ahdoot takes great pride in restoring these ornate, and sometimes very valuable, pieces of artistry for our clients. 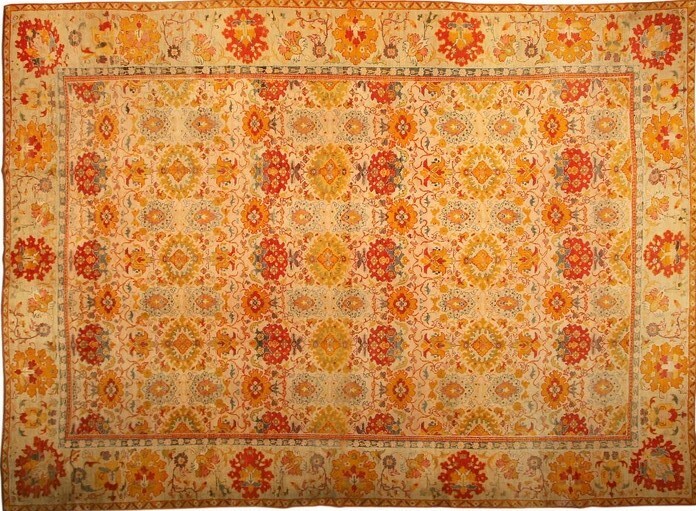 Expert Oriental rug repair has remained one of the trademarks of our success in the carpet and rug industry. It’s important to observe early signs of wear to your Oriental rug in order to limit the amount of damage taking place. However, even if your rug has experienced significant harm through natural disaster, wear or merely through the process of aging, our highly trained weavers can repair your rug to its former splendor. Ahdoot employs artists who are exceptional in the weaving craft, having been educated in a variety of knotting techniques that ensure your rug can be resurrected from its damaged state. Whether your rug only needs minimal repairs, or requires significant reweaving of the foundation and adjoining designs, our specialists seek to rebuild each portion seamlessly. As owners and collectors of Oriental rugs, you are likely aware of the importance of having highly technical and precise repair work performed on your piece. Our weaving artists are experienced in selecting materials that emulate the texture and color of your rug accurately. This initial step, followed by the intricacy of discerning the exact knotting process utilized on your rug, helps us stand out among others in the industry. Once the weaving process is completed, your rug undergoes a thorough inspection process to make certain our work is flawless. For over 35 years in our Midtown, Manhattan business, we have served a considerable number of clients whose carpets have been passed down through the generations. This gives us confidence in our ability to rebuild, restore and maintain the quality of your Oriental rug for generations to come.